We hear stories about the data being hacked from a company’s or celebrity’s cloud storage ever so often. However, what we fail to comprehend is that something similar could happen to us common fellows too. Well, it’s time you think again and start taking your safety more seriously. After all, in the time of smartphones when we save all our private pictures in the phones and our passwords in claimed-trusted apps, there is no way that we can afford to take the risk our data being stolen from the cloud by hackers. So, let’s discuss top 3 very simple tips today that are going to help you keep your data secured in the cloud storage. Use 15 or more characters to make it absolutely un-hackable. However, minimum 8 characters of password is a must. Don’t use common things like your name, company’s name, family member’s name or date of births in your password. Don’t use just the words to construct your password. You have an option to use the combination of both uppercase and lowercase words, number and special characters. Update your passwords every 4-6 months and make sure that your new password is absolutely distinct from the current one. And let us tell you that by using these types, you actually make it difficult for hacker to crack your password because he will have to make a guess among more than 600 trillion combinations. Yes, you are going to have more than one distinct passwords if you should if you want to be secured. Using the same (or similar) passwords for every account could actually be riskier than you think. So, make sure that you have a different password for every email account and bank account you own. We are sure that the last thing you want is that your bank account gets hacked immediately after somebody manages to crack your Gmail account. And since you are going to have so many passwords, you would certainly need to write them somewhere safe where you don’t lose them and nobody else can also get through too. 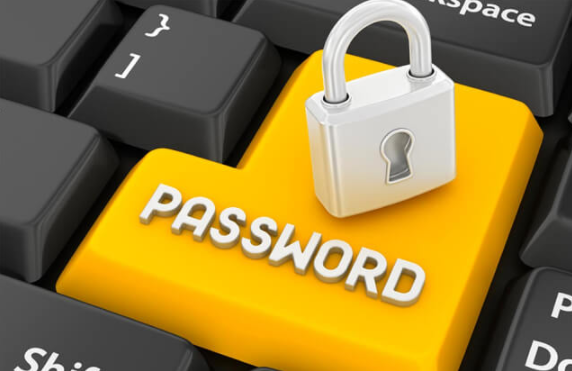 It is recommended that you use password management apps like LastPass, Password Safe or 1Password instead of keeping it all recorded in some offline notebook. You can always add an extra layer of security above your normal password security, which is known as 2FA (Two-Factor Authentication). If you don’t have 2FA activated, all hackers would have to do is guess your username and password, which can be quite easy for them as they have many tools and techniques to crack the passwords or steam them from your system settings which probably have the passwords saved. There are many cloud-based storage services like Office 365 and Dropbox that provide the users to activate 2FA on their accounts by sending them a code (one-time password) either through call or SMS that would be required to access the account. So, don’t be lazy and avoid this extra step. Activate it on all your devices and keep your accounts double secured. So, what steps are you taking to ensure that your data in the cloud stays protected. Share with us! This article has been published by Ashish. 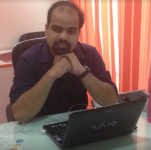 He is a Key Account Manager, looking after Marketing Strategies and building new business tie ups at WeDigTech – A hub of Skilled Mobile App Developers in India. Focused on helping enterprises StartUps from domestic to MNCs.